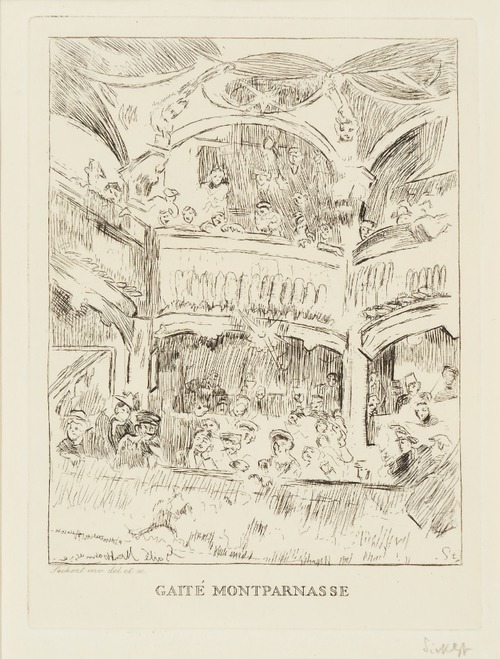 The focus of this print is not the performance, but the audience, seen from the front of the stage. 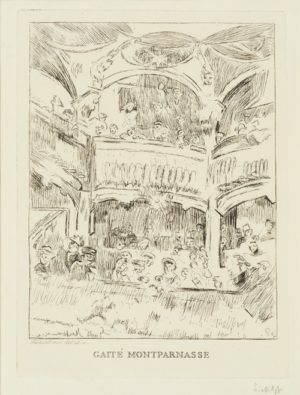 From the late 1880s, Sickert often depicted the music hall in his work. It offered a popular form of entertainment, in Victorian and Edwardian London, as in Paris. 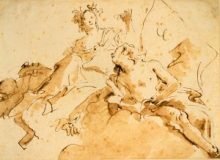 But while in England such subject matter in the visual arts was regarded as vulgar, in France, thanks in part to Degas’s and Manet’s portrayals of café culture and modern urban life, it was of widespread interest. Sickert, very much inspired by Degas, became the first English artist to portray these centres of entertainment.